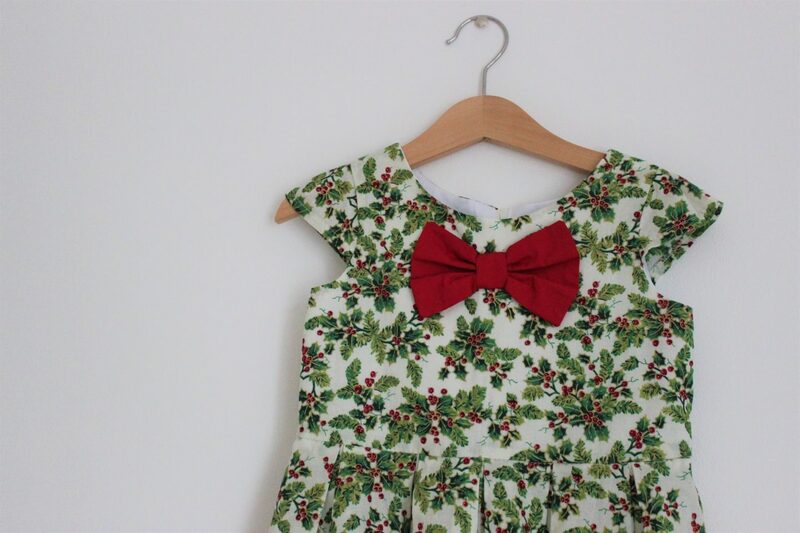 I am a big fan of vintage style children’s clothing, and especially girls dresses. 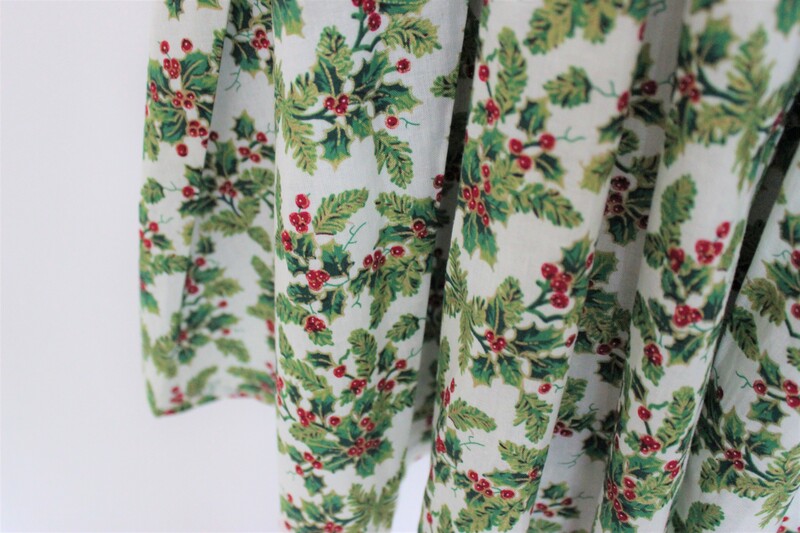 There is something so pretty about a vintage dress and they really do stand out from the crowd. I was really pleased when The Vintage Sweetheart asked if we would like to review one of their Christmas dresses, I just knew it would look lovely on Evie. 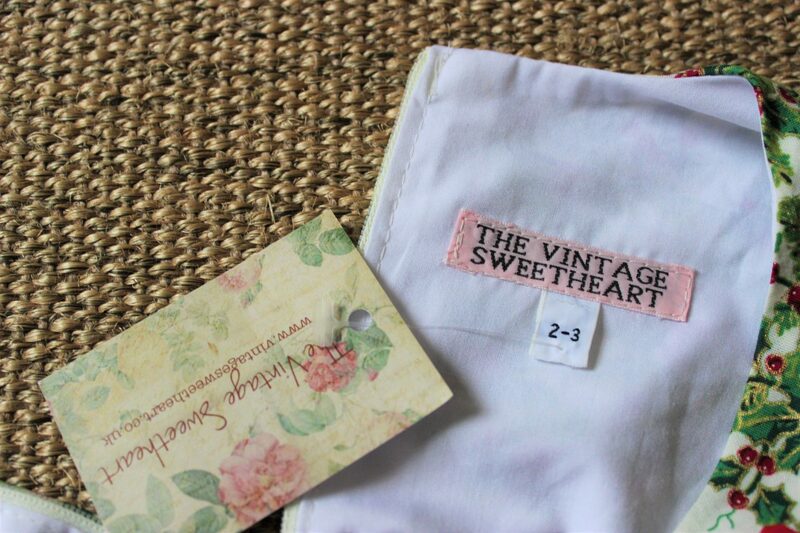 The Vintage Sweetheart is an online store specialising in vintage style clothing. 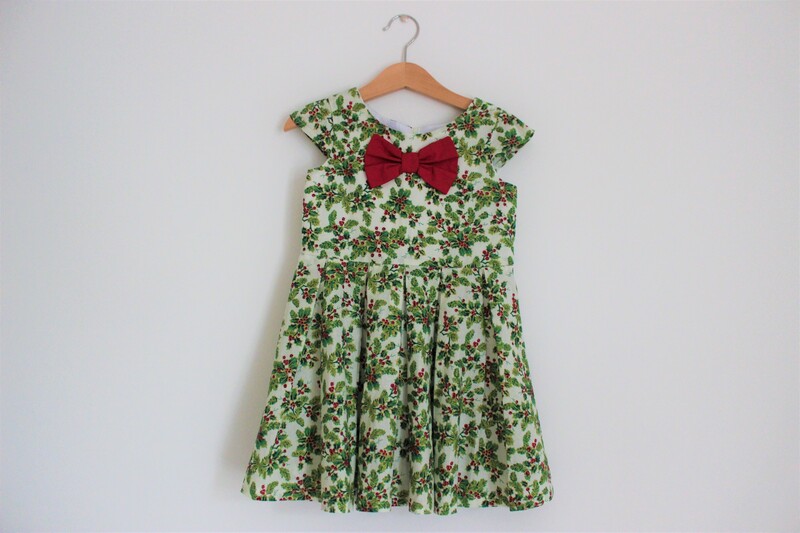 The business was started by mum of two Emily, who works hard to create beautiful, top quality children’s dresses. As well as Christmas dresses, The Vintage Sweetheart also creates lots of other beautiful items including bridesmaid dresses and hair accessories. 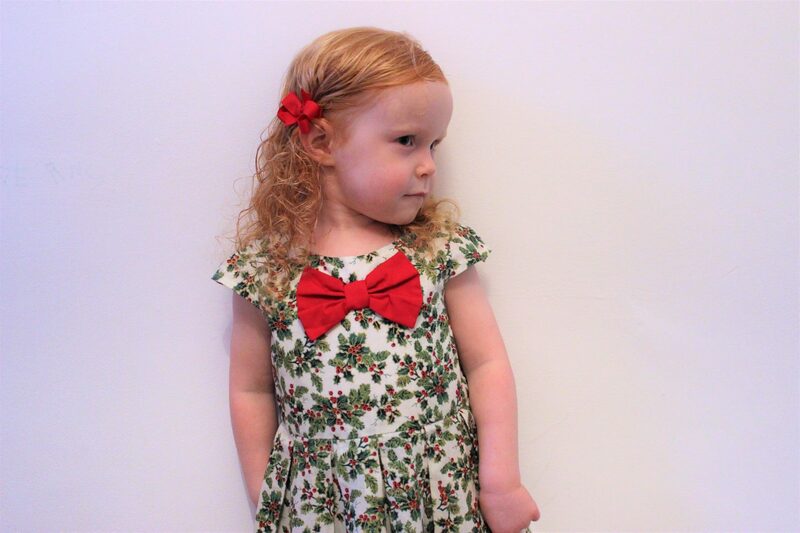 The dress that we received is called the Barbara Berry Blossom which is available in sizes 0-3 months right up to 12 – 13 years, priced from £30 to £42. I absolutely love the cut of the dress, it really suits Evie. 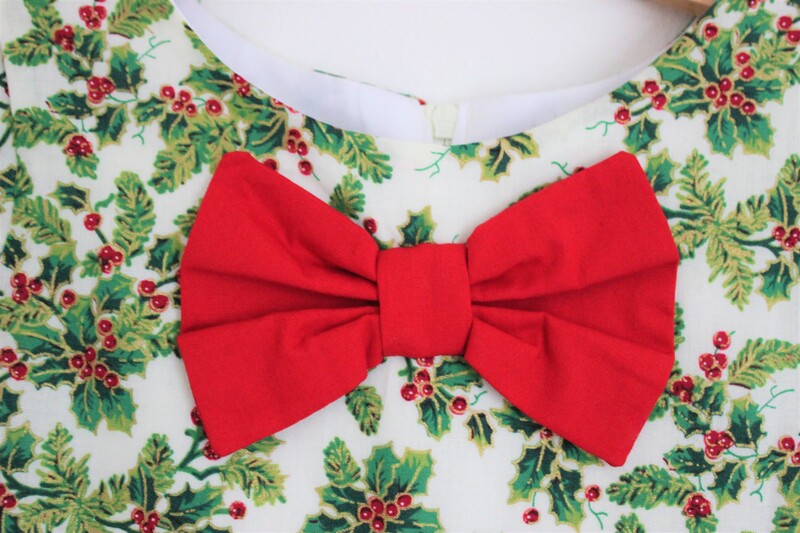 I also love the mistletoe fabric, the big red bow and the beautiful pleated skirt, all of which add to the vintage feel of the dress. You can choose the type of sleeves you would like your dress to have; cap, sleeveless or 3/4 length. You can also chose for your dress to have either red or cream lining. The ordering process is really simple, you choose your dress, then select your customisation options (sleeves, bow, lining etc), and then add to basket. 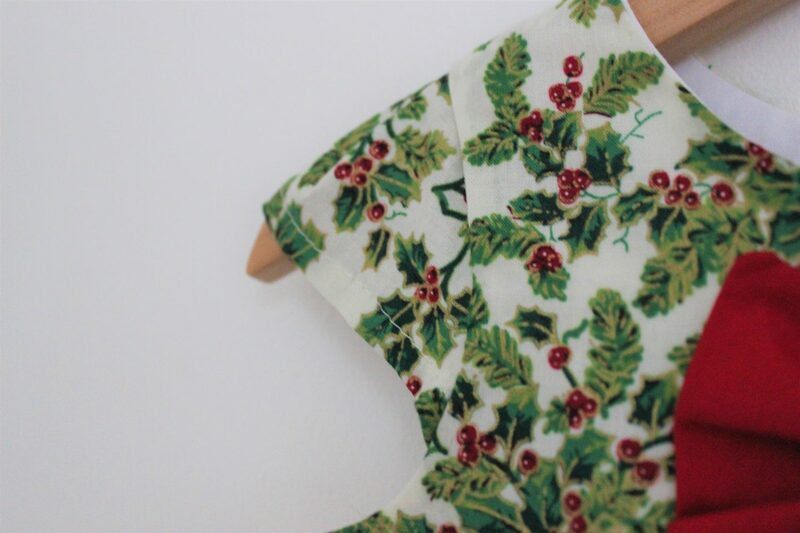 It takes approximately 3 weeks for the dresses to be made. The dress has been made to very high standard, I am really impressed with it. It is also 100% cotton and machine washable at 30 degrees. Here’s is my little Evie trying her dress on, which I’m sure you’ll agree that it is stunning. I can’t wait for her to wear it on Christmas Day! 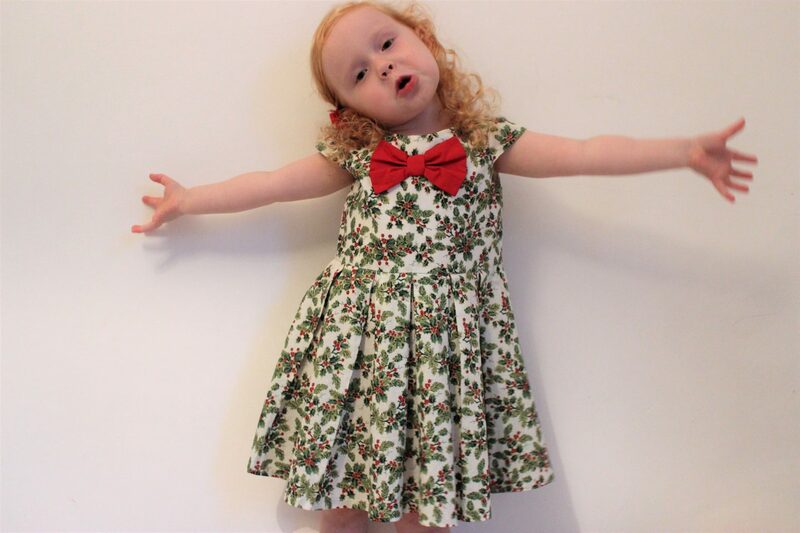 What do you think to Evie’s Christmas dress?